The internet has become a part of our everyday life; everything is connected to it. In such intense data usage world, a day without the internet becomes really tough for us. That’s why having a WiFi router at home/office is necessary to stay connected without network drops, especially if you already have a broadband connection. A Wifi router is a device that enables wireless network packet forwarding, routing, and serves as an access point for all devices in the local area network. In simple terms, it gives freedom to use the broadband internet on various devices (mobile, tablet, laptop, etc.) wirelessly within a particular range. 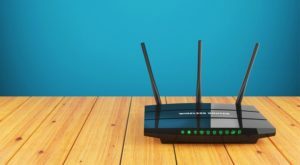 That range, connectivity speed along with many other factors determine whether a wireless router is considered as good or bad. But before digging deep into comparison factors, you should have decided the type of router you need. 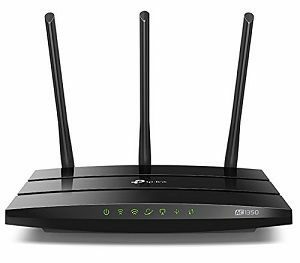 There are many kinds of wireless router devices depending upon the type of input, the number of antennas, the wireless technology used. 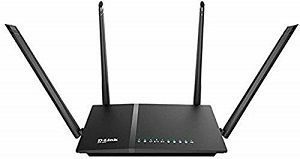 Here we are categorizing best wireless routers by kind of input your broadband/Internet service provider gives. RJ45 Input – RJ45 is one of the most common types of connector that many internet providers such as Hathway, Airtel, Reliance, Excitel support nowadays. RJ45 is used with ethernet cables if your broadband provider used these cables than don’t confuse with other types you need a WiFi router with RJ 45 input. RJ11 Input – RJ11 is a type of connectors which mostly used with telephone lines/landline phones. If you have internet access from telephone line/service provider such as MTNL, BSNL, Airtel, etc. where you can use the same for calling and access internet, then this type of input you need. USB – Have an Internet dongle? In case you want to connect your internet dongle wirelessly with other nearby devices than you need to buy a router that supports USB input. This type of routers are hard to find nowadays because the dongle era is almost gone, but it’s always better to have an additional USB port on regular RJ45 or RJ11 router. Sim Card – Sim cards are the most common medium to access the internet because they give you the freedom to access the internet anywhere and anytime. 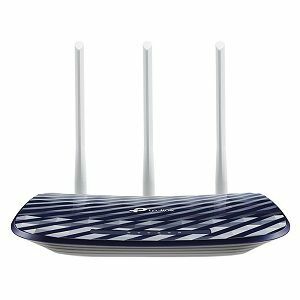 This kind of wireless routers can convert your sim into a hotspot point, yes you can do it with your smartphone too, but that’s not a permanent solution. Hope, now it has been evident in your mind what you’re looking to have. 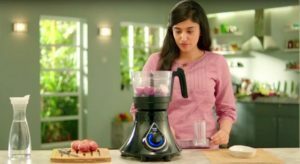 Then you can proceed to our next section where we’ve listed best wifi routers in India that can save a lot of time for you. To know more about factors of comparison and features that you should look into a wireless router, must read our buying guide at the end of the post. 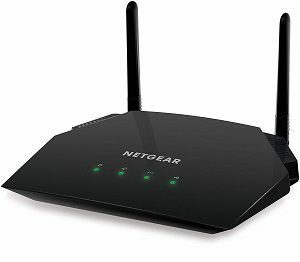 Netgear R6260 is one of the few smart wifi routers available in the market. It supports the most comfortable setup & management using Netgear nighthawk app which lets you get online in minutes. The R6260 is AC standard router which supports speed up to 1600 Mbps which is more than enough to stream 4k Videos and HD gaming. 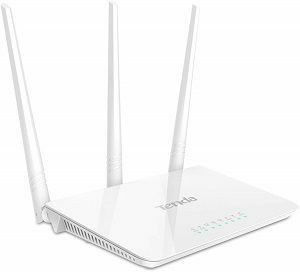 Technically it’s a dual-band router with an 880MHz processor to give uninterrupted and high-performance connectivity to all devices. The dual antenna setup with such specs makes it a perfect router for big houses. If you’re looking for even better range than Netgear R6800 might suit you. Netgear R6260 wifi router comes with four LAN ports, one WAN port and a power button for a quick restart. Apart from that it also has a USB 2.0 port to support dongles to get internet access in case of damage in your broadband line. 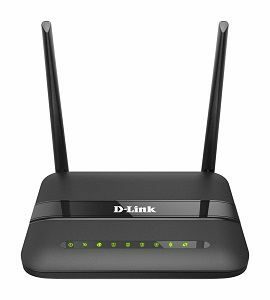 D-link is one of the most popular brands when it comes to wifi routers; you must have seen D-link routers installed in homes, colleges, cyber cafes. 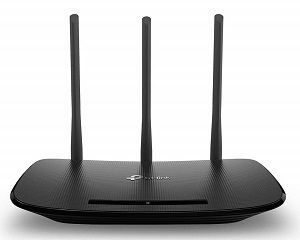 Just because it is one of the most trusted router brands, now comes in the latest 802.11 AC standards with four antennas to support high frequency up to long ranges. This dual-band router has 1200 Mbps speed which means it’s capable of transmitting 1200 Mb data per second considering all connected devices. Considering design, it gives you techy kind of feel with two antennas on the back and one on each side. The finish is premium on which small LEDs looks brilliant. 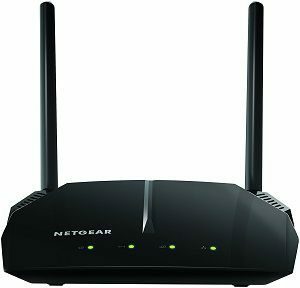 It’s another excellent router from Netgear R series which supports 1200 Mbps speed up to a good connectivity range. It has 4 LAN + 1 WAN ports for ethernet connections and USB 2.0 to connect USB storage devices to share files on the go, which is suitable for small offices. Apart from the speed, the one difference I found is that it has a direct reset button on the back side. The reset button is used to reset the router setting in case of failure of the network or any wrong setup. Generally, router brands will provide a reset hole where the user can reset the device using long pressing the hidden button using a pin. The most classy looking wireless router with all functions in the bucket at an affordable price, what else anyone needs. The best thing about it was you could share 3g/4g mobile data via wireless or wired connection through it. MU-MIMO to simultaneously transfer data to multiple devices for better performance. 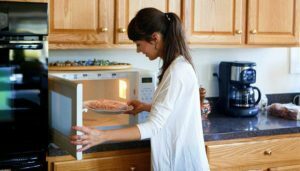 Beamforming technology to send direct & secure wifi signals to devices. Parental control is the best feature for them who have kids in there home to restrict the data usage on their devices. The only router in the list with printed skin and slim design make it stand unique among hundreds of routers. It is one of the bestselling wifi routers, simply because of its affordable price and valuable features. Dual band IEEE 802.11ac/n/a 5GHz, IEEE 802.11b/g/n 2.4GHz which gives 2.4GHz 300mbps and 5GHz 433mbps of bandwidth. Three antennas are assigned to provide stable connections without any drop in signals. It’s kind of similar device of the same brand as the previous one, but the significant difference between them is that it doesn’t support 802.11AC standard. 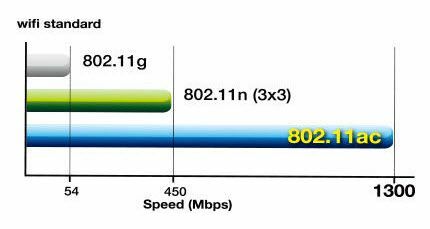 It’s based on 802.11n technology using which you can get speed up to 450Mbps. Tip: Don’t get confused between Mbps & MBPS there is a major difference between them. The Mbps stands for Megabits per second and not megabyte which most people think. A byte is made of eight bits. So, whenever you want to convert the router or broadband speed into MB/s, you have to divide the Mbps by eight. Another D-link router in the list with ADSL2 technology which provides Internet transmission of up to 24 Mbps downstream, 1 Mbps upstream. It seems workable, but the price tag is a bit high as compared to features. It’s a Qos based device with firewall and WPA/WPA2 wireless security features that are must for every router to keep your connection secure. The user access control helps in managing connected devices, and you can also give speed priorities across them using priority control. 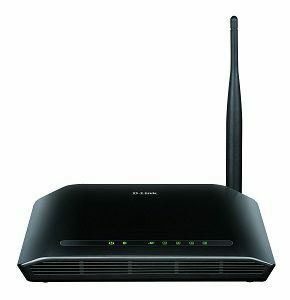 D-Link 600M is one of the most sold wireless router ever in India. Even the first router that I bought was this model and still works like a charm. It is suitable for you if you’re looking for a simple wifi router within the limited area of under 800 sq feet or one floor. Apart from that, the function I wish it could have is the restart button because it makes a lot easy to restart the device when it is problem in the broadband connection. Perhaps, you can restart via main power plug, but it’s not convenient. It’s another RJ-45 router which supports all kind of ethernet connections Hathway, ACT, Tikona, Airtel Fibrenet, MyWorld, Nextra, etc. With the three 5dBi antennas, It can cover a broader range of up to 200meters (as per the manufacturers claim). It has a combination of three LAN + one WAN port with one reset/WPS button on the back. The white color gives it a premium looks and stands it out unique as compared to others. For the newbies who never used wifi router it’s somewhat difficult to get deep into the technology used and small details. To make it simple, we have shared some points that you should need to know before buying a wifi router for home. These are wireless standards (802.11 standards) which are defined through several specifications of WLANs. It defines an over-the-air interface between a wireless client and a base station or between two wireless clients. If I have to define these technologies in one line, I will say its future, present & past respectively. The current technology that was supported by most of the devices is Wireless N that supports maximum data transmission speed of 450 Mbps whereas Wireless AC can support up to 1.3Gbps. Once you plug your network cable into a Wi-Fi router, the radio waves that wirelessly transmit an Internet signal to nearby devices on one of two frequency bands: 2.4 GHz and 5 GHz. It’s these different frequencies that separate a single-band router from a dual-band, and tri-band routers provide three wireless signals using both as one at 2.4GHz and two on the 5GHz band. 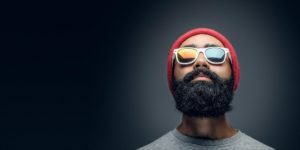 Whatever you choose from these depends upon your speed requirement, the number of devices you want to connect and budget as the tri-band supports more frequency range and have lower interference, but it’s expensive at the same time. 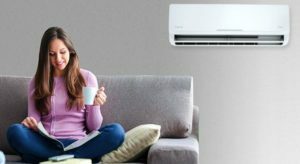 The wifi connectivity range depends upon lots of factors, along with the above two it also affected by the local conditions such as the number of walls, concrete walls, ventilation in the room. These kinds of restrictions limit the range to a lower number, In such cases, you should go with high-frequency router, or you can also use wifi range extenders with the existing ones. 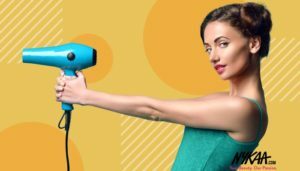 From all the data and research mentioned above, one can conclude that the best Wifi Routers choice depends on personal data transmission requirements. However, one should always opt for the wifi router that supports at least Wireless N and 2.4 GHz frequency to be future safe even if they have lower usage. If you still have any doubts in your mind you can ask us through comment sections; we’ll love to hear from you.